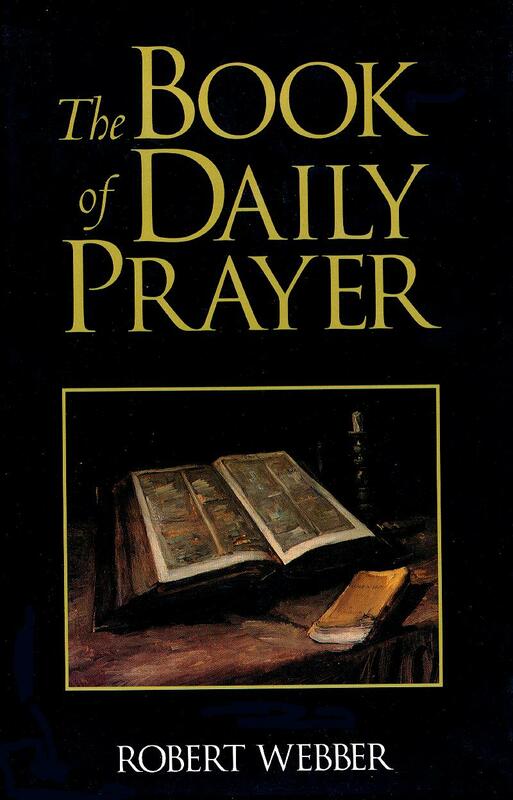 Found in my library this afternoon: The Book of Daily Prayer compiled by Robert E. Webber and published in 1993. I think it was a Christmas gift from my parents (we all made lists for each other after my brother and I reached adulthood). 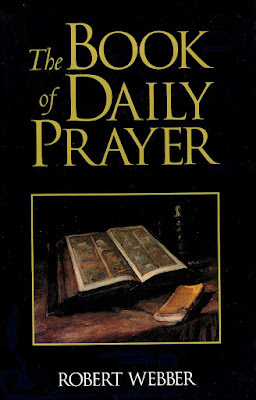 Amazon describes the book: "Organized around the Christian year which, reflecting the life of Christ, celebrates Advent, Christmas, Epiphany, Lent, Holy Week, Easter, and Pentecost, this thoughtful and convenient guide to daily prayer helps carry Christians more fully into the experience of Christ." Theme: Our choice to believe in and follow Jesus is no mere intellectual decision, but a life-changing event. Give ear to my words, O LORD; give heed to my sighing. Lord God, you who give peace to those who follow you, work in my heart and life those virtues that are becoming to your children, to your glory. Therefore, since we are justified by faith, we have peace with God through our Lord Jesus Christ, through whom we have obtained access to this grace in which we stand; and we boast in our hope of sharing the glory of God. And not only that, but we also boast in our sufferings, knowing that suffering produces endurance, and endurance produces character, and character produces hope, and hope does not disappoint us, because God's love has been poured into our hearts through the Holy Spirit that has been given to us. so that those who love your name may exult in you. Almighty God, Father of all mercies, I your unworthy servant give you humble thanks for all your goodness and loving-kindness to me and to all whom you have made. I bless you for creation, preservation, and all the blessings of this life; but above all for your immeasurable love in the redemption of the world by our Lord Jesus Christ; for the means of grace, and for the hope of glory. And, I pray, give me such an awareness of your mercies, that with a truly thankful heart I may show forth your praise, not only with my lips, but in my life by giving up myself to your service, and by walking before you in holiness and righteousness all my days; through Jesus Christ our Lord, to whom, with you and the Holy Spirit, be honor and glory throughout all ages. "Cast me not off in the time of old age"
"And give us, we pray..."